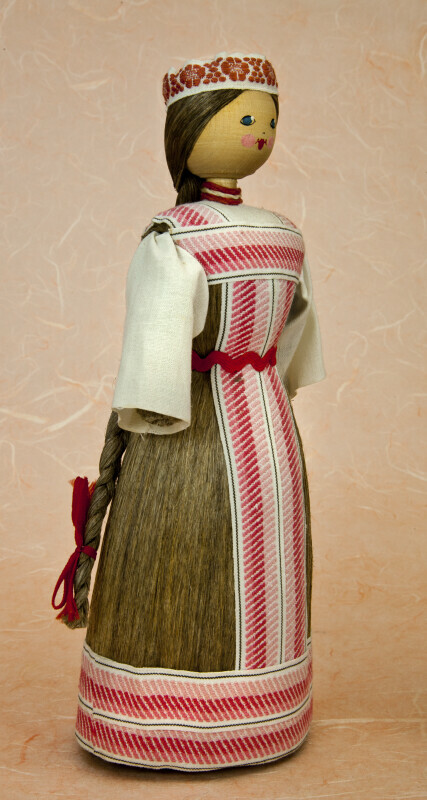 Handcrafted doll from Belarus. Her base and body are made from a wood post. Her head is a wooden bead, that has hand-painted facial features. Her skirt is made from fiber, and trimmed in decorative ribbon. Her long hair is braided out of fiber, and she has a band of decorative ribbon on her head. The figure stands 10 inches (25 cm) tall.